Now that the sting of the Cards World Series loss has started to evaporate and the Rams are in decline mode this season, I can look at this hockey team up the street on 14th and Clark with 100 % focus. Sure, we have heard these kind of bells and whistles before but once again the Note are riding high to start a season. After disposing of the Pittsburgh Penguins on Saturday night at Scottrade, the Blues are 11-2-2. One of their best starts to a season in franchise history and something to make the sudden sourness of St. Louis sports fade away for a little while this month. At the beginning of October things were rocking in St. Louis sports. The Cards were headed to postseason play with a title in their vision and the Rams were looking decent so far in their season. A month later, the Birds fell flat in Boston and lost a painful World Series and Sam Bradford tore up his knee and sent the Rams season spiraling downward into “Draft Watch’ oblivion. However, the Blues have fired off a series of impressive wins this season and showed a resilience and full team ability to win games. Let’s talk about a few things, including that Alex Steen guy. Steen Breakout. Suddenly, the NHL network knows this guy’s name along with the city of St. Louis. The Canadian who came over to St. Louis in a trade for Lee Stempniak from Toronto right around Thanksgiving in 2008, Steen has been an energetic spark plug for the team on both ends of the ice since. This year, though, he is becoming something else. A goal scoring threat. A legit net blaster. Through 15 games, he has 14 goals. In 40 games last season, he had 8. His highest total in his career came in 2009-2010 with the Blues when he sunk 24 goals in 68 games. It’s safe to say the man is something else this season and no it is not all luck. Steen is more aggressive and getting his nose dirty in the forecheck every shift and battling for pucks. The man with the crooked nose is letting it all go and it’s effort and the ability to shoot the puck that is making him find the back of the net. A player can have all the talent and skill in the world but if they are timid with the puck, few goals will find their way back to their stick. Steen is getting good feeds from David Backes and T.J. Oshie and firing on goal and looking pretty accurate. While most of the team sends lawn darts to the back of the boards or off the post, Steen is showing more accuracy. He won’t continue to score at this pace so don’t lose a best friend over a fantasy hockey trade just yet. Appreciate it while it lasts and understand it is not blind luck. Steen is coming into his own as a complete hockey player and a man I liked ever since he put the note on his chest. It’s nice when success happens to a good guy and someone who has paid his NHL dues. Steady As They Go In Net. Going into the season, the Blues had goaltending depth unlike most NHL teams. Carrying two goalies capable of playing well in the clutch in Jaro Halak and Brian Elliot, they also held the silver bullet down on the farm in Jake Allen. The two vets know the team will eventually belong to the kid, so they aren’t wasting their time raising their stock this year. Halak is 9-2-1 with a 2.19 goals against average and Elliot is 2-0-1 with a 2.05 goals against average. Each goalie has a save percentage of 92 percent. They don’t throw every game on their back and carry it home. They support their fellow skaters, make decent saves, a few great ones and collect the W. Each player is playing in a walk season so it’s the best possible situation for a team holding onto young blood while the older wolves duke it out in net. Halak and Elliot are both 28 years older and looking for work next season so don’t expect them to settle down any time soon. Each has a chip on their shoulder. Halak’s is his easy ability to get hurt and miss a significant amount of time. This is a talented Slovak who has only played a high of 57 games in a season in his time here in St. Louis. Halak made his name with excellent play in the 2009-2010 Eastern Conference Finals when he took over for Carey Price and nearly carried the Canadiens to a Stanley Cup final. As a Blue, he has been solid yet far too vulnerable. Elliot is a great backup who can shine for periods of time as a starter yet runs into a wall in the playoffs and also can falter easily. Two goalies with different styles holding the fort this season will be interesting. So far, so good. The Slow Developing Big Guys. We can only hope Chris Stewart and Patrik Berglund find their footing and begin to pitch in this season. They have 3 goals and 10 points between them after 15 games and while that is a small sample size, the icebreaking fact is these two players can go very cold for a long stretch. Stewart can get aggressive and be a table setter at times and Bergie is a big body around the net, but these two well paid lads have to kick it up a notch. Straighten out the shots and put them in the net. Be the goal scorers this team pays you to be. You two saw what happened to David Perron right? We traded him for a guy whose name no one knows or can properly pronounce. Just an alert section. The Reaves Sessions. It’s been a long time since this team had an enforcer who could actually play and handle a puck. Ryan Reaves is a fine 4th line grinder who can smash someone’s teeth in and finish a beautiful play in front of the net. Tonight, after picking a fight and winning against the Penguins tough guy, Reaves crashed the net all night and pulled off the most wicked tip in I have seen this year. A goal that gave the Blues a 1-0 lead. First, Reaves supplied the team with a pair of testicles and finished it with a go ahead goal. Cam Janssen, Tony Twist, Kelly Chase, Reed Low and D.J. King weren’t known for touching the puck much less handling it. Reaves is impressing me every night. I have always had a soft spot for enforcers. This guy is making my stand easy to make. What To Make Of This Start? The same as you do with Steen’s fast start. Appreciate it while preparing for reality to hit soon enough. The Blues have a problem of taking bad penalties in their offensive zone and can take periods of hockey off and leave their goalie hanging out to dry. Like every great team, the Blues will hit a wall. It’s how they react to that fall and move on from it that will determine their spot in the standings come April. Hockey is so different than baseball or football. You don’t play every day but there are areas where you play 3 games in 5 nights and need to sustain a level of play. As head coach Ken Hitchcock(in his first full season as the skipper) pointed out, the Blues can’t afford to have too many passengers on their team. Free loaders failing to make a dent and do their part(hello Stewie and Bergie). Everyone on this team has to be ready to go and contribute. Tonight, David Backes and T.J. Oshie may not have shown up in the goals or assists column but they played their asses off. Defenseman Jay Bouwmeester had a great game and took Sidney Crosby out of the equation. Sidney remains scoreless against the Blues in his tremendous career. Vladimir Sobotka continues to build his versatile legend around Scottrade by being a man who can kill a penalty or fill in on the second line and put together an offensive rush while throwing his 170 pounds into any size opposing player. The Blues are made or broken by players like Sobotka. Role players. How long will this last? That depends on health, scheduling and this team’s ability to trade the #1 star of the night each game. One thing is for sure. Once again, as the holidays near, the St. Louis Blues will be a force to reckon with in the Western Conference and have the roster to make a serious run at a Stanley Cup championship. Hold off on giving Steen the Hart Trophy and making the Conference Champions shirts for now. 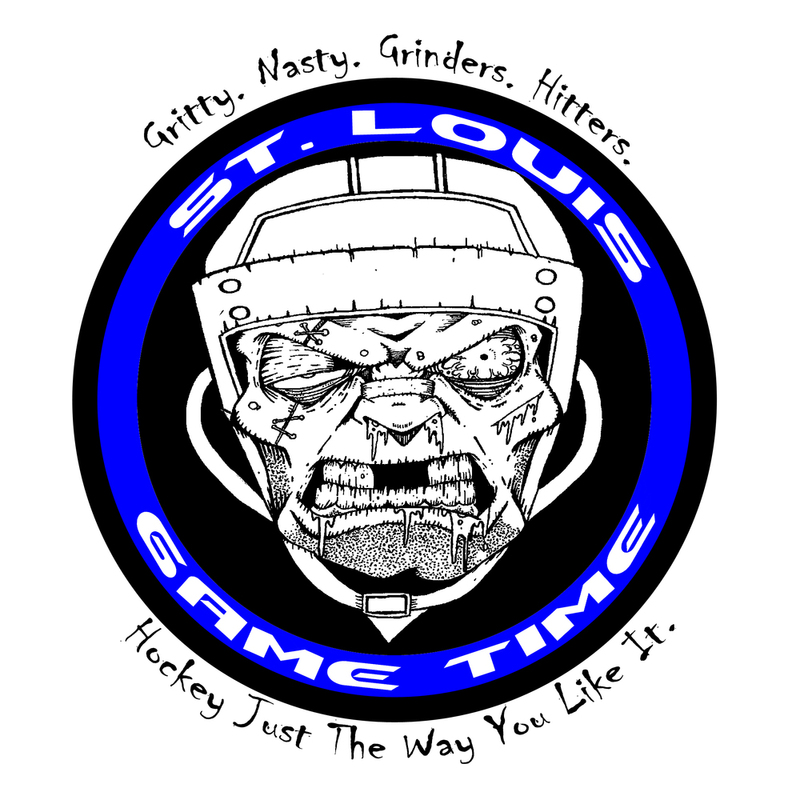 Let’s just enjoy this fine stretch of hockey that the Blues are playing.